Gloucester Fisherman's Memorial remembering all those from Gloucester who died at sea. The bronze statue of a fisherman dressed in oilskins standing braced at the wheel on the sloping deck of his ship. 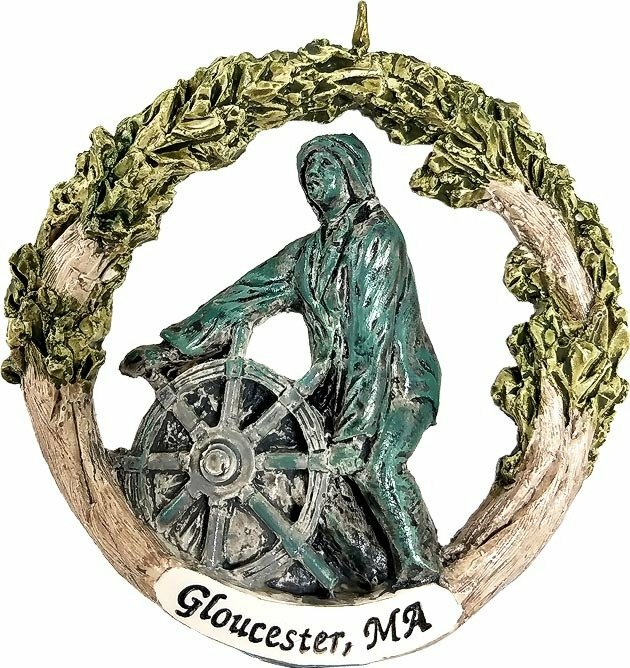 It is positioned so that the fisherman is looking out over Gloucester Harbor in tribute to the nearly 10,000 Gloucester fisherman lost to the sea.